Disclosure: Grandma Bonnie's Closet has not been compensated for the following product review. I received product samples for review purposes. All opinions expressed are my own. You can find the following Signature Brand Products on my Holiday Gift Guide. We are always busy during the holiday season. With all the rush it is often hard for me to find the time to make an extra special Christmas cake. I love decorating cakes for any occasion. When I am in a rush cupcakes are simply a better choice for most occasions. 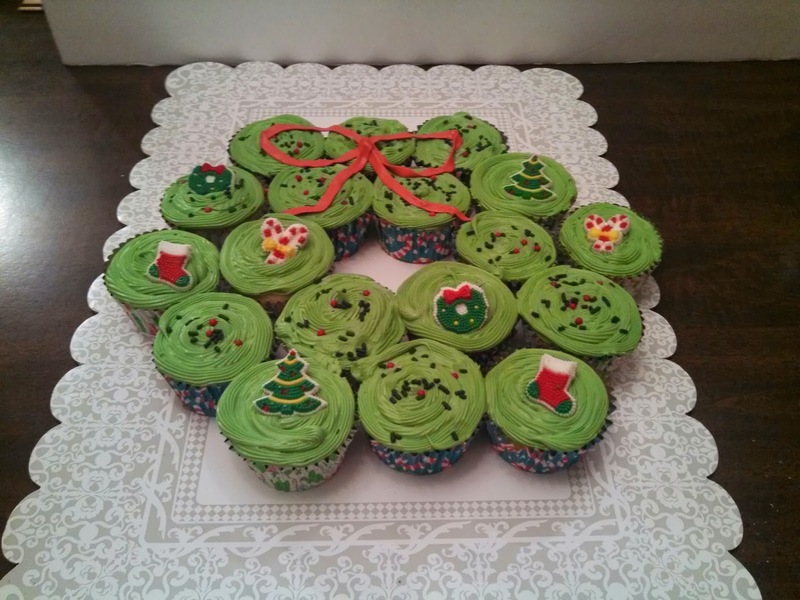 With the holiday season sneaking up on us so quickly I thought I would share with you an easy but fun Christmas Cup Cake Wreath. 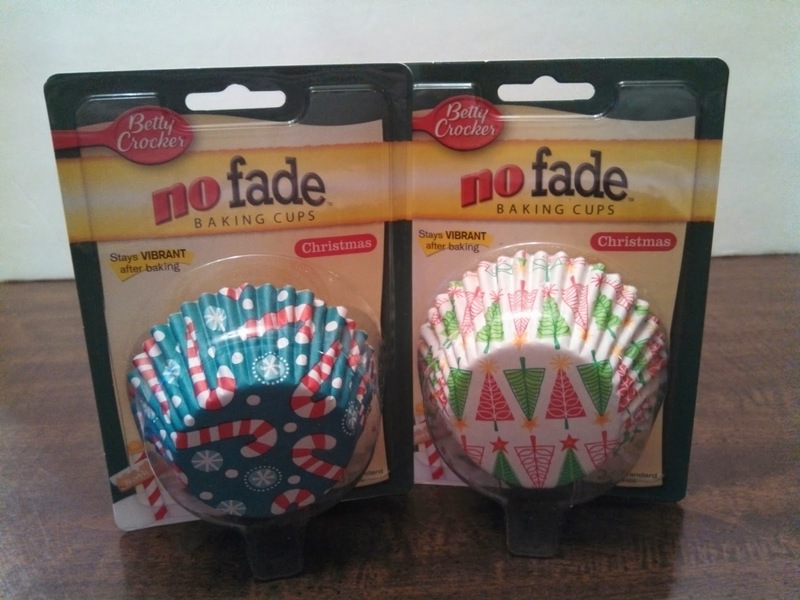 The No Fade baking cups are high quality, foil lined, standard size, paper cupcake liners. 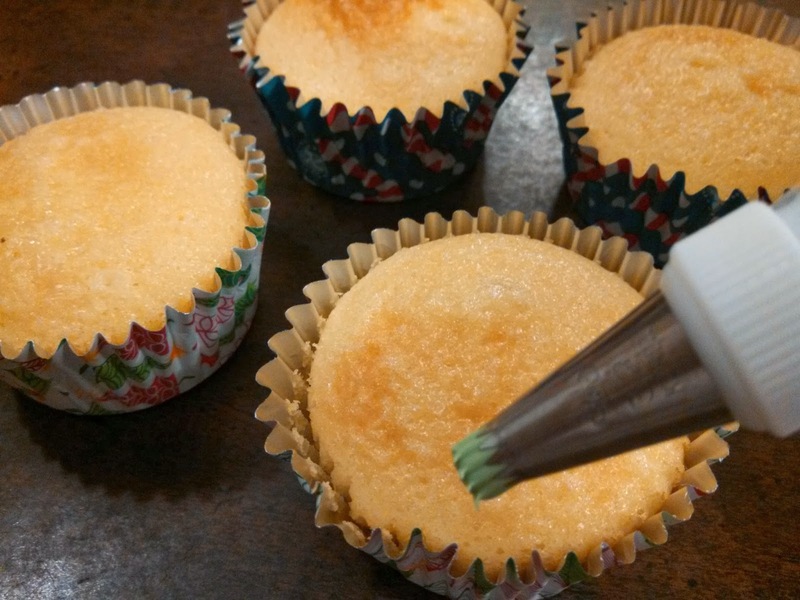 They not only look great on my cupcakes they did not fade or leak. 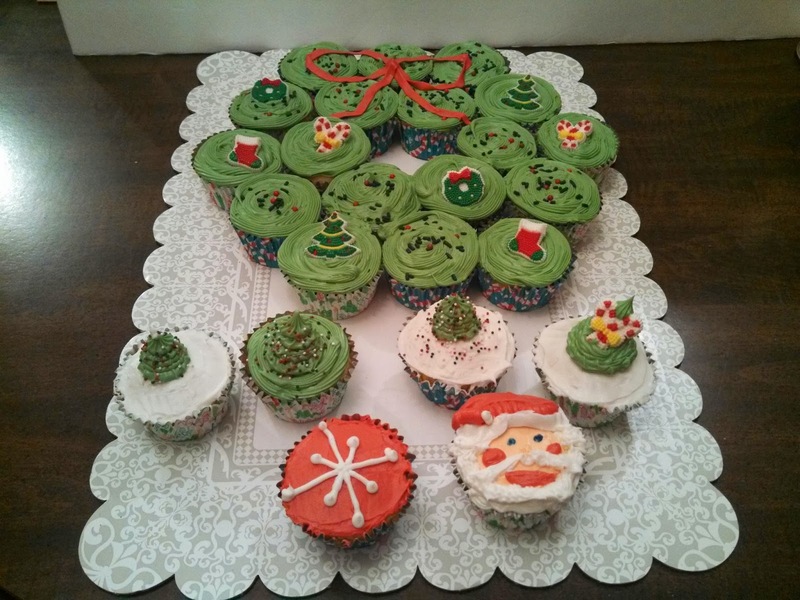 I just love how pretty they make my cupcakes look. 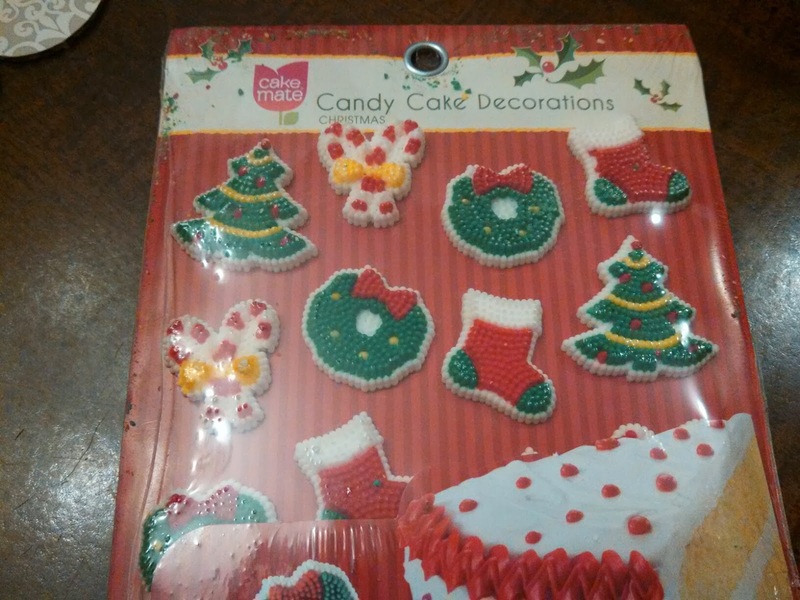 I found the candy Cake Decorations easy to remove from the packaging. There were 16 pieces in the package. I love the bright colors of each piece. They would be perfect on cupcakes, cakes, brownies and even cookies. 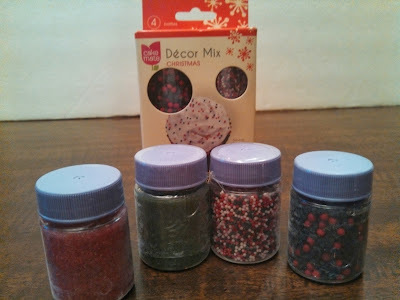 The Christmas Decor four pack is perfect for all your Christmas decorating needs. The package includes green sugar, red sugar, Holly Berry Decors and Jingle Mix Nonpareils. 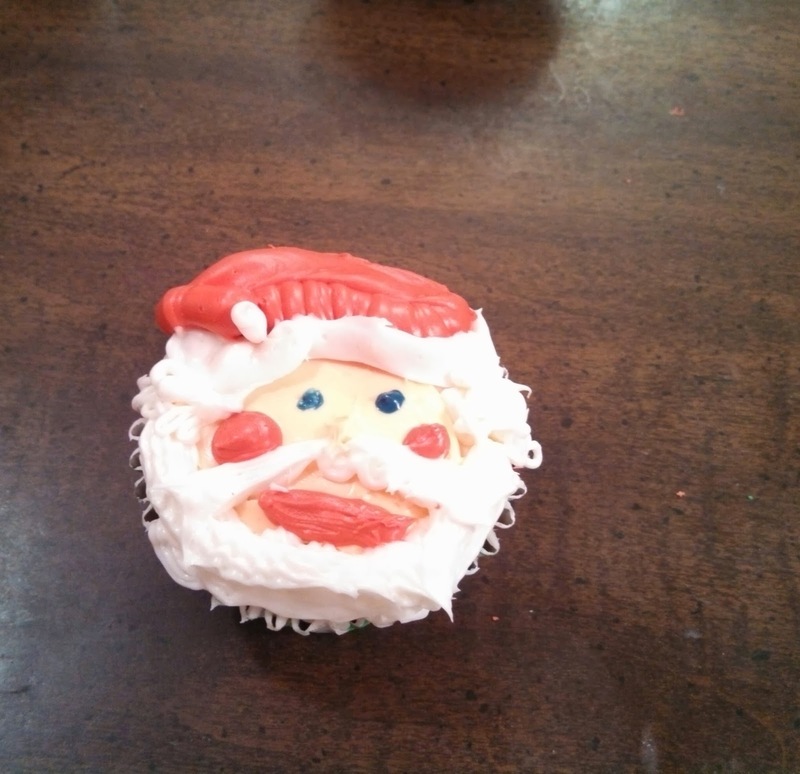 Not only are they pretty on cakes, cupcakes, and cookies they are perfect to use for decorating ice cream for your grandchild. 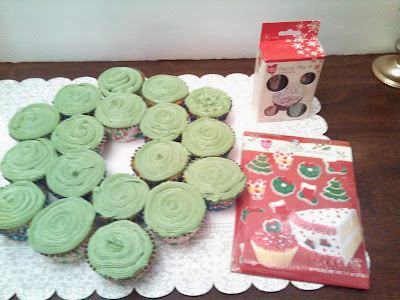 Red and green food coloring to color your icing. Fill your baking cups 2/3 full with batter. 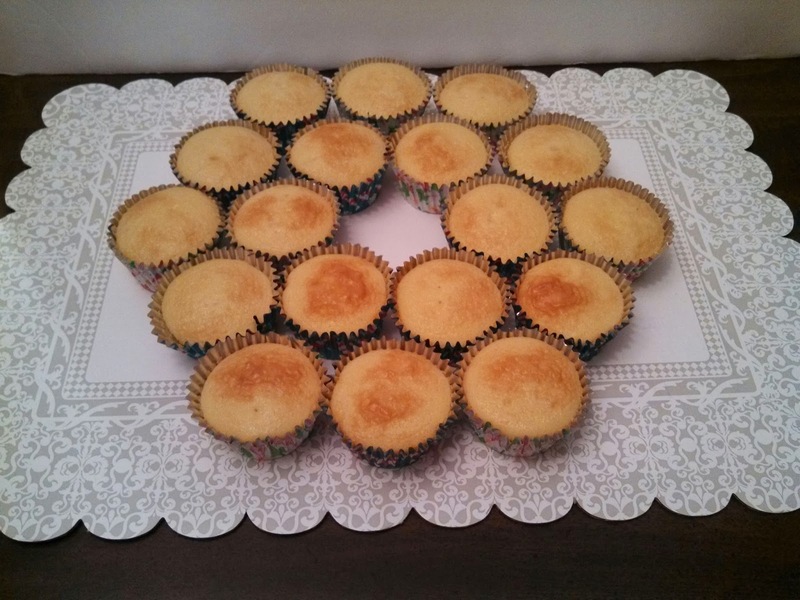 Bake according to the instructions on your recipe or box mix. I baked 24 vanilla cupcakes. I used 18 cupcakes for the wreath. You can use all 24 to make a larger wreath. 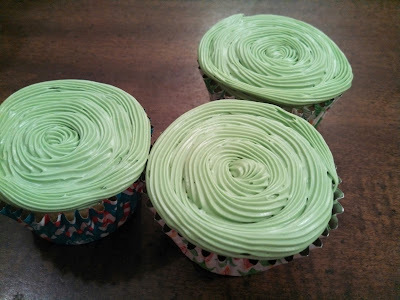 I iced the cupcakes with a star piping tip. 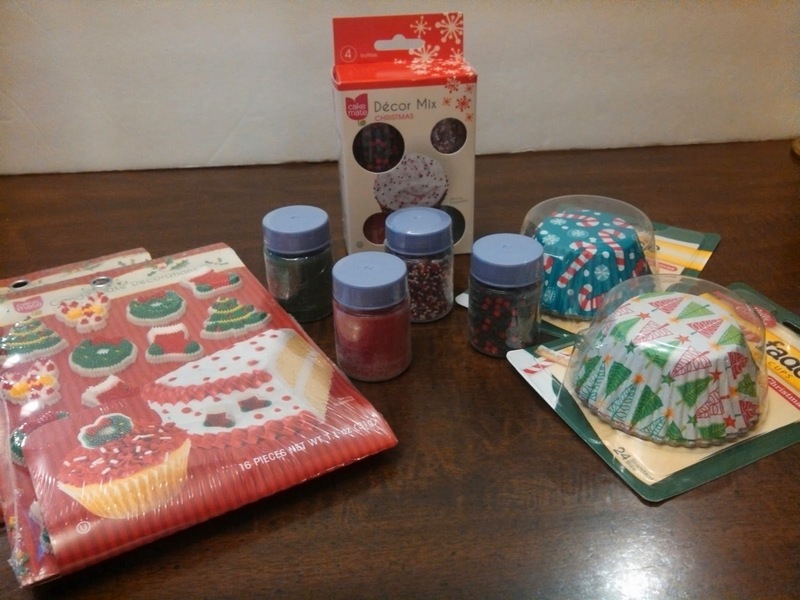 Decorate your cupcakes with the candy cake decorations and the colored candy sprinkles. 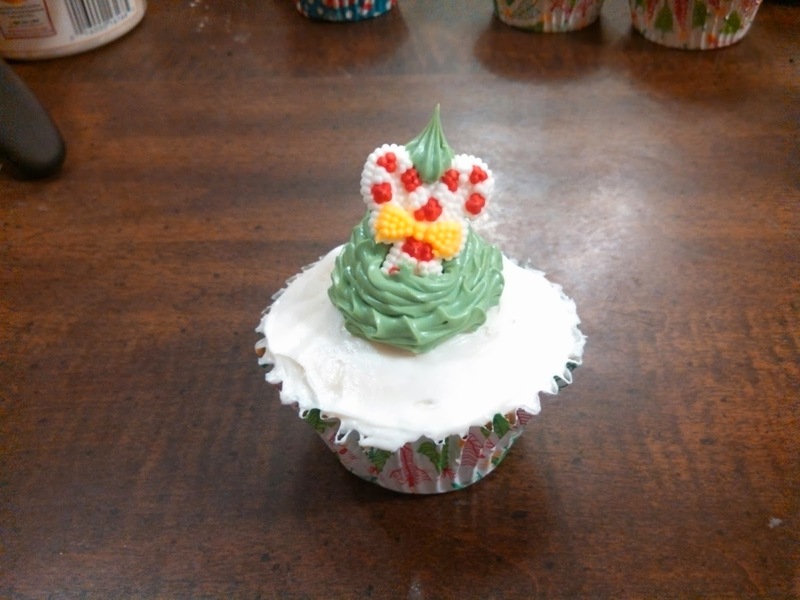 Pipe a ribbon at the top of your cupcake wreath and you are finished. 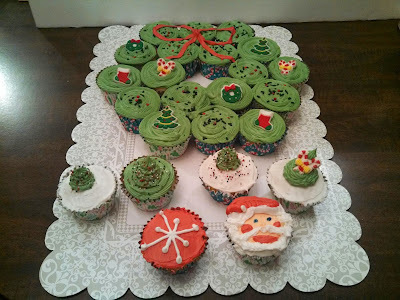 If you are not in the mood to make a wreath you can also make a few Christmas tree, snowflake or Santa cupcakes. 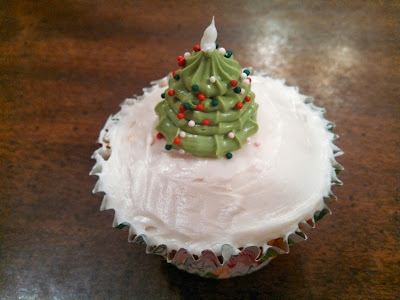 I hope this will pass along some holiday inspiration. What is your go to dessert for the Holidays? Cute-cute-cute… You are so creative… Amazing what people can do these days!!!! Wow! Those look great. Such a cute idea. 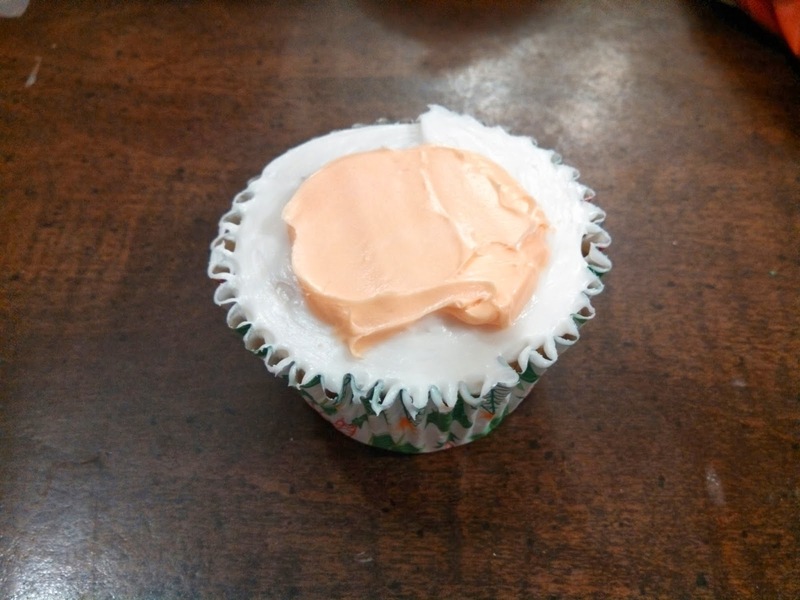 You sure do go all out when you get your fingers on any icing. That wreath is perfect for the Holiday season. Santa turned out so cute.